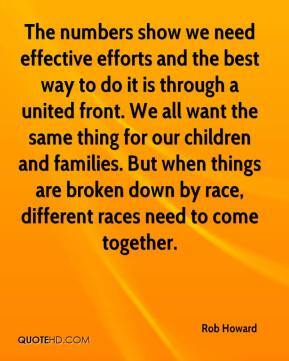 The numbers show we need effective efforts and the best way to do it is through a united front. We all want the same thing for our children and families. But when things are broken down by race, different races need to come together. 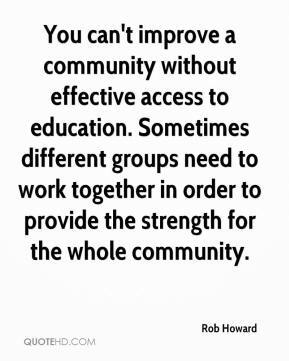 You can't improve a community without effective access to education. Sometimes different groups need to work together in order to provide the strength for the whole community. 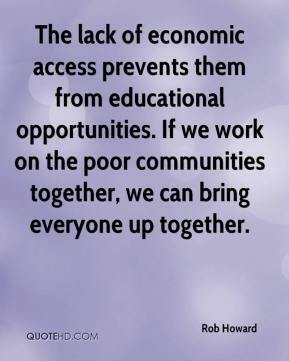 The lack of economic access prevents them from educational opportunities. If we work on the poor communities together, we can bring everyone up together. 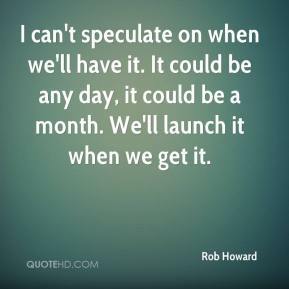 I can't speculate on when we'll have it. It could be any day, it could be a month. We'll launch it when we get it. Today we can build rich interactive sites [with] ASP.Net and Community Server, but it's time-consuming with handoffs between creative and development. 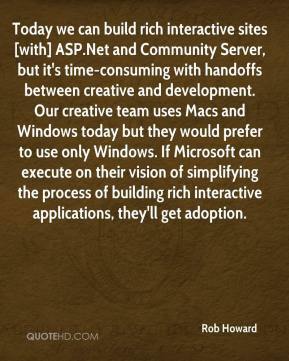 Our creative team uses Macs and Windows today but they would prefer to use only Windows. If Microsoft can execute on their vision of simplifying the process of building rich interactive applications, they'll get adoption. 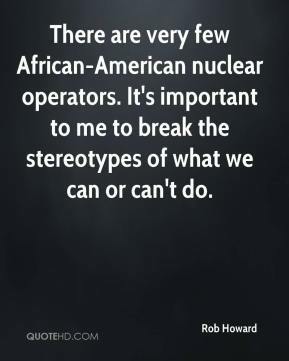 There are very few African-American nuclear operators. It's important to me to break the stereotypes of what we can or can't do. It has to be done by hand. 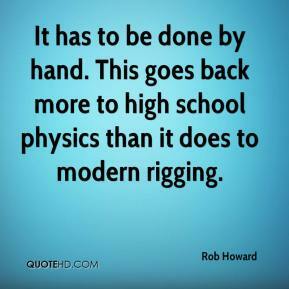 This goes back more to high school physics than it does to modern rigging.